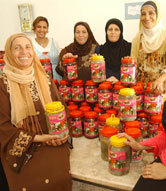 Can Arab-Israeli widows achieve financial independence and greater social freedom by starting their own pickle factory? Many modern debates about “women’s status in Islam” focus on topics such as polygamy, the veil, and a few verses from the Islamic holy book, the Qur’an, that seem to impose female subordination — to men in general and husbands in particular. In medieval times, such interpretations of the scripture provided women with security by requiring men to support and protect their families. In modern times, that requirement, in exchange for women’s obedience, bars their empowerment by establishing a hierarchal relationship between women and men. Patriarchal values and social customs have influenced the development of traditions in all major religions of the world. Since Arabia is the birthplace of Islam, the tribal Arab society influenced the interpretations and implementation of Islamic law (Shari’a). While Islam granted women the right to inherit property, to choose a husband, and to divorce — rights that had not existed for women in the Arab tribal culture before Islam — some of their rights were still unequal to those of Muslim men. The 1.2 million Arab citizens of Israel, all heir to the values of Arab society, include both Muslims and Christians. In Islam, as it is practiced in the Middle East today, “You cannot differentiate what discriminatory customs come from the religion and what come from the Arab traditions,” said Aida Touma, an Arab citizen of Israel, a Christian-born atheist, and the General Director of Women Against Violence (WAV), an organization that advocates for the rights of Palestinian women citizens of Israel. WAV also provides leadership training and legal counsel and runs a battered women’s shelter. “In Qur’an, the man is the leader, the decider, and the woman must obey him. It’s accepted till today,” said Kiram Baloum, a Palestinian citizen of Israel and the coordinator of the women’s unit at the Center for Jewish Arab Economic Development (CJAED). Although this interpretation is common among Arabs and Muslims, a number of Muslim theologians like Dr. Riffat Hassan have written about how the Qur’an does not grant superiority to men — unlike the Bible. In one of her most well-known articles, Dr. Hassan, a female Muslim scholar, describes how the creation of Eve from the rib of Adam is widely accepted by Muslims even though it is not mentioned in the Qur’an. This story, which introduces the concept of woman’s inferior status compared to man, is found only in the Bible. In Israel, many working Arab women find they are only able to commit to part-time jobs, such as office cleaning and sales positions in shops, because of their demanding household responsibilities. “Even when she works, she is still responsible for the home,” said Baloum. It is usually only among the highly educated Arab-Israelis that men and women share domestic responsibilities. Furthermore, unlike Jewish women, Arab women in Israel face institutional as well as societal discrimination. The problem is even more acute among the more patriarchal Bedouin population in the south of Israel, an estimated 170,000 people. “The state does not set up factories in our areas like they do in Jewish areas,” said Amal e-Sanaa, a Bedouin woman living in the southern Negev desert, who is the founder and director of the Arab Jewish Center for Equality and Economic Cooperation. In the conservative patriarchal society, Arab women are less mobile. If a job is far away, a woman may not be allowed to take it. “The Bedouin man does not let his wife work outside the home if there’s no factory in the area,” said Sanaa. 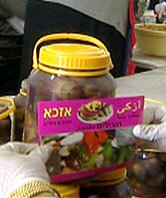 Arab women in Israel also face a language barrier. While Hebrew is the language of the business and public sectors, 90 percent of Arab women in Israel live in villages where they are not exposed to the Hebrew language except in grade-school classes. Without fluency in Hebrew, few are qualified for positions higher than menial labor or jobs in local shops. All these factors combine to make unemployment higher among Arabs in Israel than among Jews. The unemployment rate in the Galilee, where 2/3 of Israel’s Arab citizens live, is 50 percent higher than the national rate. And, unemployment is highest among Arab women: according to the latest statistic, from 2003, only 18.5 percent of Arab-Israeli women work outside the home, compared to 62 percent of Jewish Israeli women. In recent years, some of the few outlets open to uneducated women have been closed. Most of the textile factories that employed many women from villages in the 1980s were shut down in the 1990s due to stiff competition from cheaper emerging markets like Jordan and China, where labor costs undercut even the low wages paid to the women in Israel. Thousands of Arab women lost their jobs. Ironically, high poverty and unemployment rates among Arabs in Israel have convinced many men to allow their wives and daughters to seek employment. In the last three years the number of working Arab women has increased. Many of the uneducated are turning to self-employment, such as providing catering services, supplying videotaping services for bridal ceremonies where only women are present, or making traditional handicrafts. The educated Arab women professionals are getting jobs even if it means going out of town. For Arab women living in the Palestinian Territories, the challenges of empowerment and financial independence are compounded by legal complexities (Palestinian family laws consist of old versions of Egyptian and Jordanian laws), patriarchal interpretation and selective implementation of laws, and the effects of the Israeli occupation. Palestinian women are not recognized as full persons before the courts as witnesses or in matters related to marriage, divorce, and custody of children, said the Freedom House country report on Palestine prepared by Suheir Azzouni, a Palestinian women’s rights leader and an expert on gender and human rights. “Nevertheless, the laws must be viewed through the limitations imposed by the Israeli occupation,” she wrote. While the Palestinian people are involved in a struggle for nationhood, women’s issues have taken a back seat. Mobility, which is fundamental to economic independence, is severely limited for Palestinian women. Throughout the violent intifada, Israel regularly made military incursions into Palestinian cities and villages, imposing curfews and closures. Concerned for their personal security during the ongoing violent conflict, most Palestinian women stayed home. Violence has decreased since the resumption of peace talks in February 2005, but Israeli roadblocks and the ever-lengthening separation fence have made travel more complicated. Male relatives decide if it is safe for daughters and wives to leave home. As a result, whether due to an effort to protect or an impulse to control them, women are not able to move as freely as Arab men. In Gaza, the effects have been felt more strongly. Israel blocked the Arab workforce from entering the Palestinian Territories, causing unemployment to skyrocket, especially in the Gaza Strip. As poverty increased, so did extremism, and with it, restrictions on women. The August 2005 Israeli withdrawal will soon release land resources used by Israeli settlers and allow Palestinians to move freely within the narrow strip. Women hope this will bring prosperity and lead them to regaining their rights, but militant Islamic extremism threatens to keep them contained. Orly Halpern is the Middle East Affairs Correspondent of THE JERUSALEM POST. She has a degree in Middle East Studies and Islam and has spent years traveling around, living in and reporting from the region.